Deciding which real estate agent to list your property with is an important decision. We take your needs very seriously and are here to help you every step of the way. Please see below for a modest list of our capabilities. Contemporary, cutting edge technology – We utilize the latest technologies in real estate, easy to use website design, search engine optimization and online advertising distribution media channels. 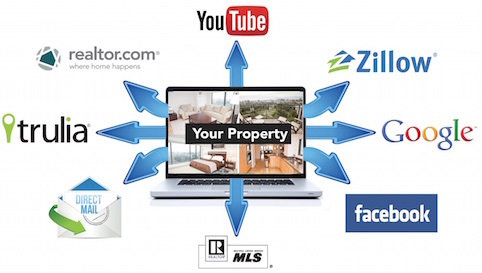 This help us put your property in front of millions of prospective buyers and tenants worldwide. Advertising on all of the top real estate marketplaces – We advertise your property on over a dozen different top websites including Boston.com, Trulia, Zillow, Hotpads, Trulia and many others. MLS – Multi-listing property network exposes your property to thousands of other MLS agents, resulting the broadest possible exposure to the Boston brokerage community. In practice, we routinely share our listings with every qualified and licensed agents in Boston. We have the local market knowledge you need – we focus almost exclusively on sales and rentals of downtown Boston area. Deliver personal attention – we are personally responsible in the handling of every detail of your transaction and have a fiduciary duty to keep you informed about all relevant aspects of the sales process in a timely manner. We have a convenient downtown office – Ideally located in the heart of downtown Boston, our beautiful midtown office is convenient for buyers and sellers alike. I invite you to contact me, at 617 356-7332 or via email at don@highriseboston.com anytime to discuss your needs and answer any questions you may have about the sales and listing process. I welcome your inquiry and look forward to an opportunity to be of service.